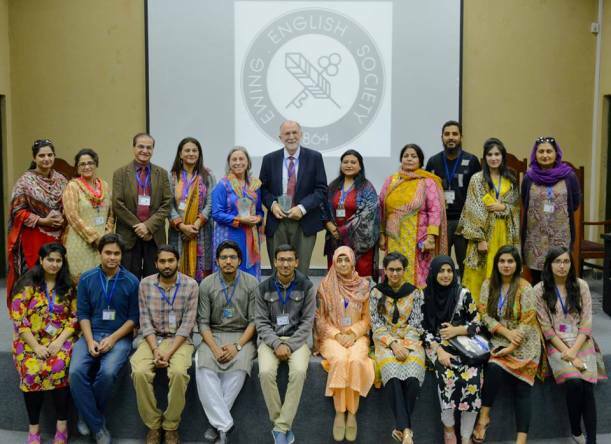 The English Ewing Society hosted an event to honor Marianne Murphy for her years of creative service to FCC on 11 November 2016. Miss Murphy was the force behind brilliant plays such as the Shakespeare’s Ladies Meet, The Bald Soprano, The Holiday, The Zoo and The Lesson performed at the university. 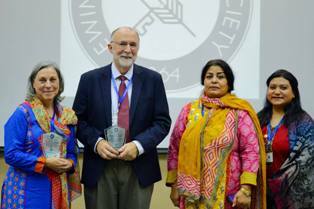 Rector FCCU, Dr James Tebbe was invited to present a shield of Honor to Miss Murphy. 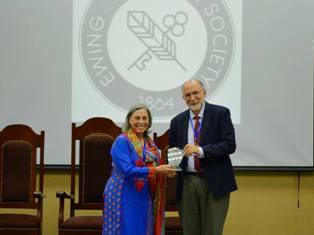 The Society’s Advisor, Miss Jacqoline Austin was then invited to present a shield to the rector; Dr James A Tebbe, as a token of our appreciation for his immense contributions for the friends of Forman who assisted the Ewing Society in their artistic endeavors. 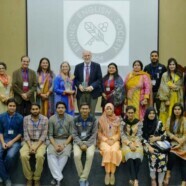 The presence of the esteemed faculty of the English Department including Ms Rehana John, Ms Alvina Waseem, Dr Waseem Anwar, Ms Nukbah Langah, Ms Nadia Iftikar uplifted the importance of the ceremony further.